We had the pleasure recently of stumbling upon this shop on Coronado Island. 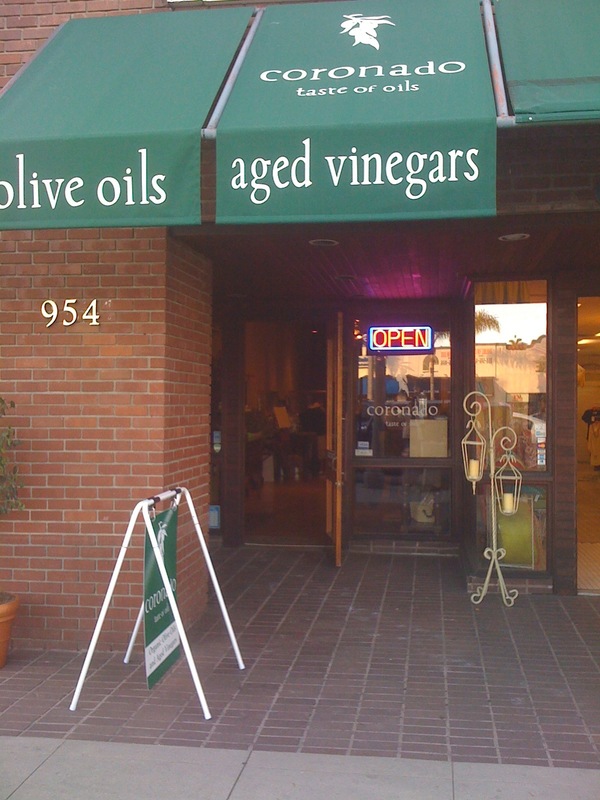 We cook almost exclusively with extra virgin olive oil and are always on the lookout for new and exciting flavors. 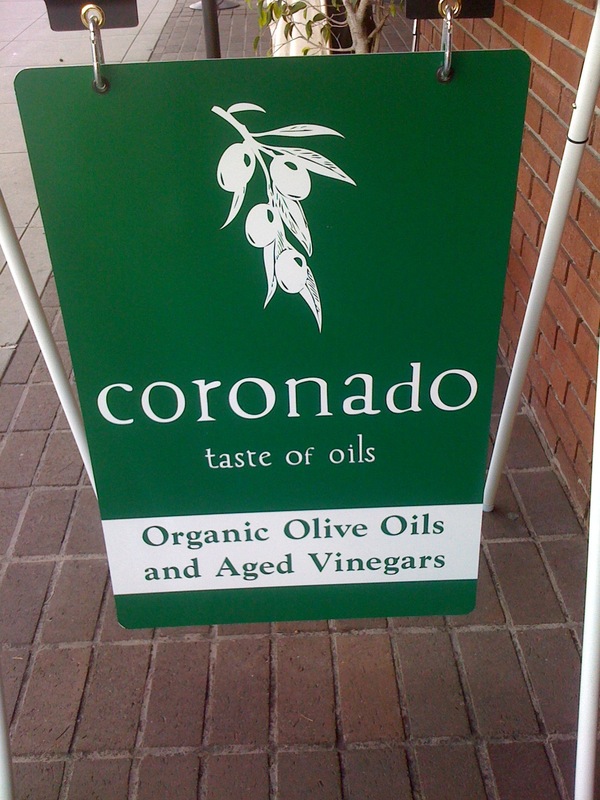 Coronado Taste of Oils did not disappoint. 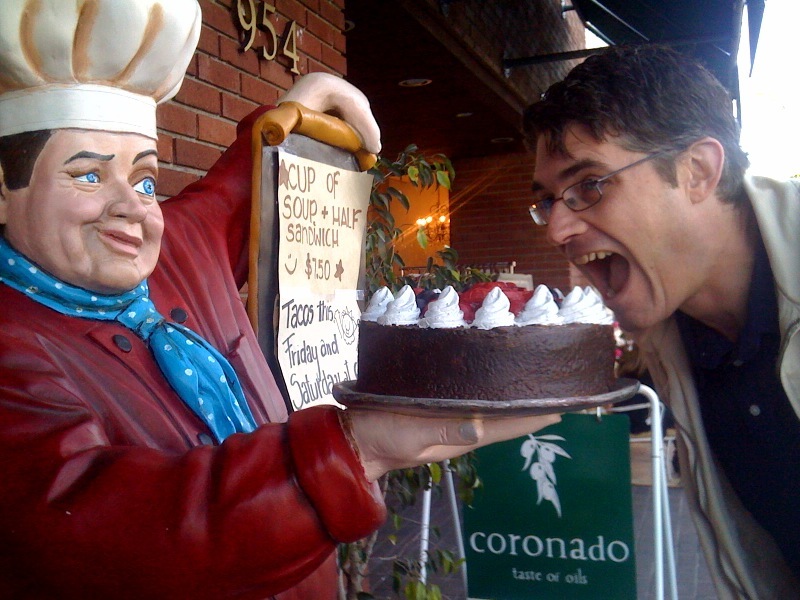 The staff is friendly and you can taste pretty much anything you would like. 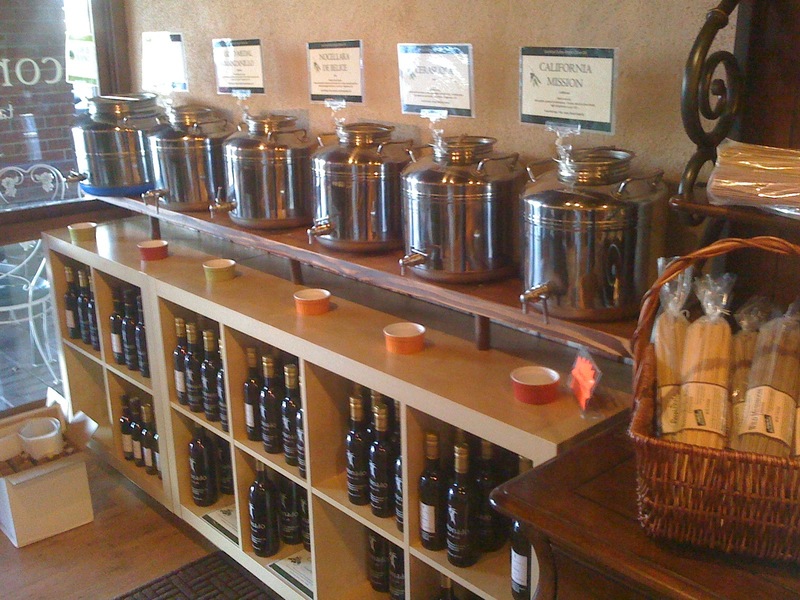 They have several wonderful straight olive oils and many infused ones, too. Some examples of the infused flavors: Harissa, Chipotle, Tuscan Herb, Persian Lime, Blood Orange, Butter, Cilantro Roasted Onion, and more! But wait! There’s more. 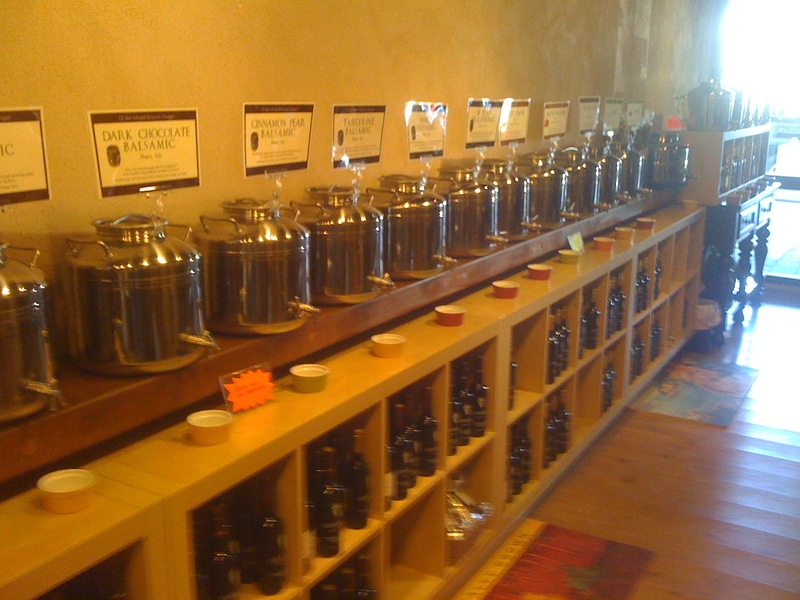 They also sell balsamic vinegars like 18 Year Traditional Balsamic, Blueberry Balsamic, Cinnamon Pear Balsamic, Dark Chocolate Balsamic [what! really? 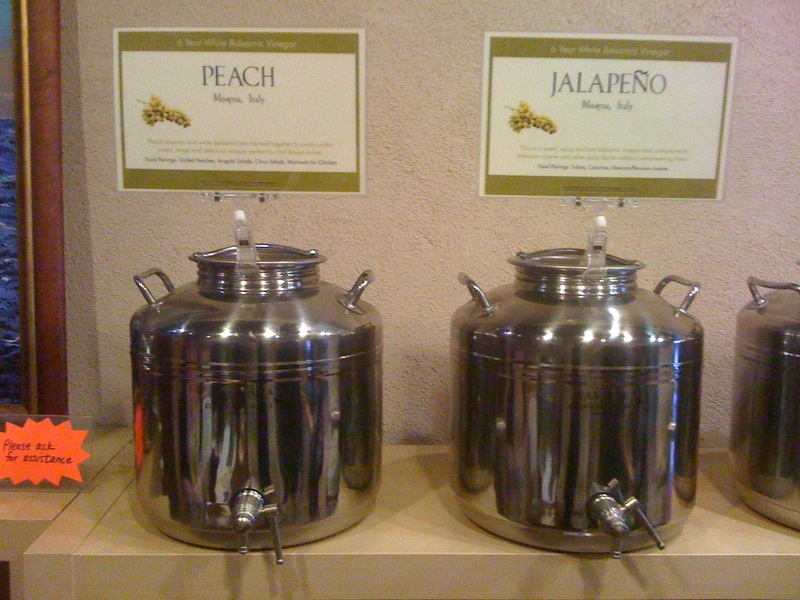 ], Pomegranate Balsamic, Jalapeno Balsamic, and lotsa other choices. We tasted several items, but THE BEST thing there is the Peach Balsamic Vinegar. OMG! To die for. Peachy Elixir of Love is what we call it and it is sooooo freaking yummy. Tried it on avocados and salad so far and I am just in love with this stuff. It will not last long in our house. This cute little shop is new to the area and their grand opening will be in March sometime. You can also order online. I think all of their items are around $18 a bottle. Go check ’em out or order online.